Authorities nabbed yet another wrong-way driver on Sunday on a Tampa Bay area roadway. Around 2 a.m., a 24-year-old Bradenton man drove around a road block put in place on the eastbound Lee Roy Selmon Expressway for a crash investigation, according to the Florida Highway Patrol. Troopers claim the man then turned his 1999 Saturn sedan around before reaching the crash and traveled west in the eastbound lanes. A trooper helping with the traffic investigation pulled the man and arrested him for driving under the influence. The FHP said he refused to provide a breath sample. Wrong-way traffic accidents claimed 16 lives on Tampa Bay area roads in 2014. Many of these crashes occurred on divided highways. 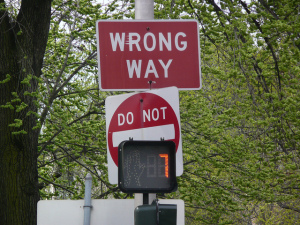 A handful of wrong-way drivers have been stopped before they could cause an accident. Just last week the Hillsborough County Sheriff’s Office stopped a woman travelling the wrong way on the Veterans Expressway. It was found that she was confused, but not under the influence of alcohol. According to the Florida Integrated Report Exchange Program, a total of 223,110 traffic accidents were reported in Florida this year. Of those, 98,817 accidents have resulted in 147,285 people being injured and 1,611 deaths. In 2014, the record month of accidents was March, with 30,183 crashes reported. Moreover, the Florida Department of Highway Safety and Motor Vehicles reported in their “Traffic Crash Facts Annual Report 2012” that of the 281,340 accidents in Florida in 2012, a large amount were attributed to wrong-way drivers. A total of 363 accidents resulted in property damage due to vehicles being driven on the wrong side of the road or travelling the wrong way. 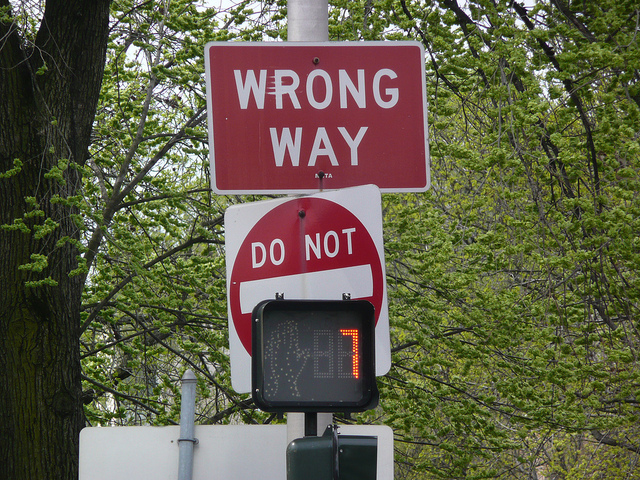 Another 541 car accidents involved bodily injury, and 53 wrong-way collisions resulted in death. If you or a loved one has been the victim of a wrong-way driving accident in the Bay area, a Tampa Bay Injury Lawyer at Whittel & Melton can help. Call us at 813-221-3200 or contact us online today for a free and confidential case evaluation.